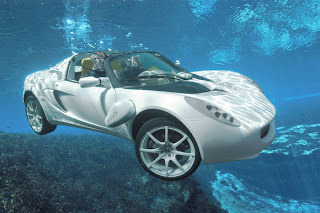 We've seen cars that can float on water and of course, there's the Terrafuga flying concept car but the sQuba is the first underwater car. If you've seen the James Bond Movie, the Spy who loved me, you're probably familiar the cool sports car that James Bond was driving which can submerged underwater, well now it's a reality, thanks to sQuba. The sQuba doesn't only dive underwater, it can move like a fish underwater too. While most military submersible vehicles can only drive through the submerged ground, the sQuba can “fly” underwater. The sQuba runs on electric engines and has three motors, one motor provides power for driving through land while the other two propels the sQuba underwater. Check the action shots to see just how cool the sQuba is. 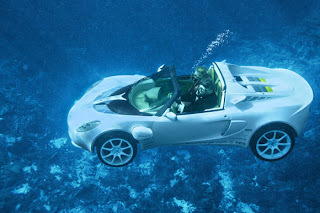 As you can see, the sQuba is an open car even underwater, the passengers breath through compressed air tank used for scuba diving. 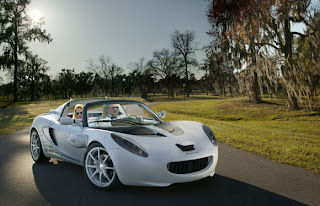 The car is powered by rechargeable Lithium-Ion Batteries so it means it's a zero emission car. If your within the vicinity of the Geneva Auto Show, you should definitely check the sQuba out.